The American dream was based on the idea that anyone could find entrepreneur success regardless of color, creed, religion or social status. It created the largest economy in the world but somewhere along the way, people started to settle for the 40-hour rat race. Changes in the economy mean traditional jobs are no longer the safe bet. Growth in independent workers has increased by 27% more than payroll jobs over the last two decades and one in three workers are on their own. Companies are finding it far easier (and cheaper) to outsource their work to independent entrepreneurs rather than keep a staff. That trend isn’t going away and it may be that financial security in the future will be entirely up to your success launching your small business ideas. That’s why I’ve put together a list of some of the best entrepreneurship books to get you started this year. These business books will make 2019 the year you stop thinking about that business idea and start building something big. Getting your business up and running is the most difficult step in the process. Even after working through an idea, most entrepreneurs face so many internal doubts that they never get the chance to be successful. These first few entrepreneurship books will help give you ideas about what you can do to make money, business questions that will need answered and help you launch your business dreams. One of the biggest hurdles to starting an online business is that people just don’t know how many ways there are to make money. 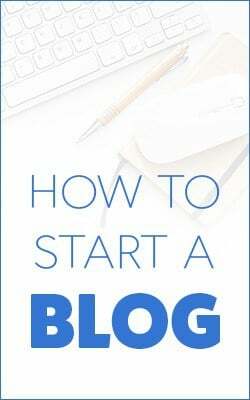 I see too many bloggers launch their websites in excitement and then let their dreams crash in disappointment on just pennies paid by Google Adsense or other advertisers. 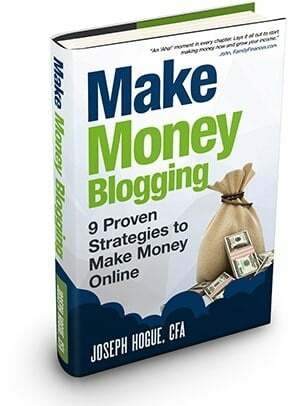 Make Money Blogging is your guide to all the ways that make money online, from the easy and immediate advertising to the courses and workshops that can make you thousands a month. It’s not just a list of ways to make money but the actual strategies I used to take my blogs from zero to over $7,000 a month in two years. Each chapter details a step-by-step into making money and I include a complete one-year strategy at the end of the book to get you started. I truly believe that owning your own websites it one of the best and easiest business ideas you can try these days. It costs less than $10 a month to run a website and there are no barriers to entry. 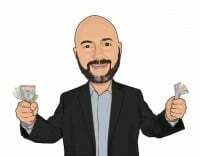 That makes it accessible to everyone and creating your own digital real estate is replacing traditional property investing as one of the biggest wealth generators. That’s not to say it’s easy. Running a website is a job and you have to treat it like a business but you can make money if you know how. The gig-economy is just getting started and people all over the world are enjoying the benefits of being their own boss while working from home. The Freelancer’s Bible is everything you need to know about starting your own solopreneur business…and I mean everything. From taxes, invoicing, setting up your office and finding health insurance this book is nearly 500 pages long and more of a reference guide than something you’re going to be able to read through on a weekend. The book is a must-have reference to starting a business, especially for anyone that is new to the hurdles facing first-time entrepreneurs. Nick is a good friend of mine and a side-hustle extraordinaire. He’s been creating websites and side-hustles for more than a decade and runs a must-read blog on the topic. Nick has put every side-hustle idea he’s tried plus hundreds more in this huge entrepreneur’s resource for anyone that needs a few ideas on what to do. 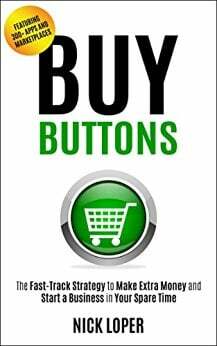 Nick covers 300+ marketplace websites that you can use to sell or resell just about anything. Each platform is detailed with what you can sell and some great case studies show you exactly how to be successful. Whether you just want to make some extra money in your spare time or want to start a six-figure business, this book will give you all the ideas you need. We talk a lot about making extra money and just creating a side hustle but there’s another reason why you seriously need to consider starting your own business. Freelancing and independent work is replacing what we used to think about working. Employers love being able to hire freelancers because they don’t have to pay the benefits and other costs. It may not be long before freelancing and an independent business contractor is the way everyone works in America. Starting your own business now will help you get out ahead of this trend and be ready. Most entrepreneurship books are great for offering ideas and vague concepts of getting started. The problem is, it takes more than great ideas and motivation to create a successful business. Trying to support a family on a full-time job leaves little time or money to launch your own gig and most small businesses make very little during the first year. These next small business books will help you get funding to carry you through those first lean months. They’ll help you reach a customer base and develop a community of supporters that will make your success a priority. Crowdfunding has never been able to grow past some of the biggest misconceptions. If it could, every business and personal project would be using it. Much more than the money, crowdfunding is about building a community around your product or cause. I have seen simple business ideas go viral because of a well-planned crowdfunding campaign. I know several business owners that launch every new product through a campaign, immediately proving customer demand and selling out on pre-orders before they’ve even paid to make the product. I’ve been running a crowdfunding blog since 2014 and have helped several campaigns beat their funding goals. This guide walks you through the 17 steps to successfully raise money from building pre-launch excitement to designing your campaign goals and leveraging your success for the future. The old model of business funding died with the collapse of the financial system in 2008. Since then, banks have stopped lending to small business entrepreneurs and it has become impossible to get the kind of money you need to launch anything bigger than an at-home freelancing business. 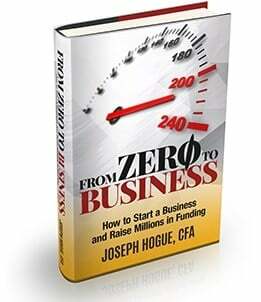 From Zero to Business gives you the new model of business funding with two books in one. The first half of the book is dedicated to effectively planning the kind of business that will get investors’ attention. I walk you through everything from doing market research to how to put together financial statements without accounting experience. 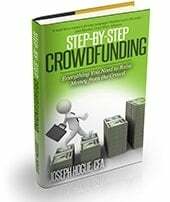 The second half of the book details the new funding process for startups, from low-cost peer loans to building viral support in a crowdfunding campaign and finally to securing millions from angel investors. Finance Your Own Business is one of the few entrepreneur books I’ve seen that does a good job of explaining business credit and how to build your small biz credit score. 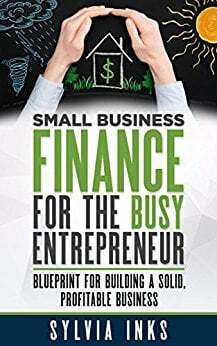 The book covers it all including obtaining business credit cards and unique strategies for financing. Different types of loan providers are detailed from SBA loans to micro-lenders and even putting together your own private placement memorandum (PPM) to sell your idea to investors. If entrepreneurship were just about an idea and funding, everyone would be a successful small biz millionaire. The truth is that sometimes running a business seems like juggling 10 balls at the same time. Being successful means knowing which of those balls to keep in the air and which you can let drop. These last business books will help you manage your budding dream, grow sales and go from one employee to many. If there is one thing I can point to as the secret to my online success, it is learning how to get ranked on Google search. Too many online entrepreneurs neglect search engine optimization (SEO) because they think it’s too technical or unimportant. The problem is that most websites get a majority of their traffic from search engines. The upside is that you can master SEO in a very short amount of time for a true competitive advantage over other online business owners. I lay out a complete process that is easy to follow and effective at building your website’s search ranking. 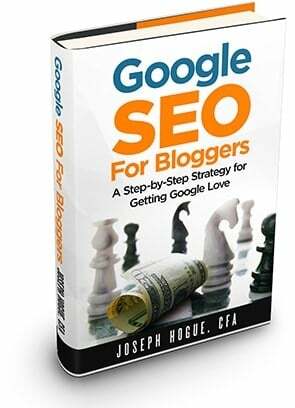 This is the same process I used to rank for more than 1,700 keywords on the first page of Google and drive more than 35,000 monthly visitors to the websites just from search. Sylvia’s book is a practical guide to managing your business finances without the benefit of years in accounting or finance courses. The book includes case studies from real entrepreneurs and 21 best practices in topics that are a constant pain for new business owners. The best part about the book is that its set up so you can jump immediately to the chapters you need the most to help run your business. An easy read that is written clearly for all entrepreneurs, my copy is full of notes in the margins. This book takes the prize for a no-nonsense, direct advice on becoming a successful entrepreneur. I didn’t agree with some of the advice, like that creating a business plan is a waste of time, but there are a lot of great insights here into starting and running a business. Starting your own business is no longer something you can decide to do or not. With the gap between rich and poor growing, it won’t be long before the entrepreneurs are the only ones with any wealth. Starting your side hustle today will put you in the right group and get you that financial future you deserve without being a slave to an employer. Starting your own business can be a scary process but the way the economy is going, everyone needs their own side-hustle or full-time strategy. Companies are laying off people by the thousands and outsourcing work to freelancers. People are finding financial freedom in their own work-from-home ideas and you need to get out ahead of the pack. 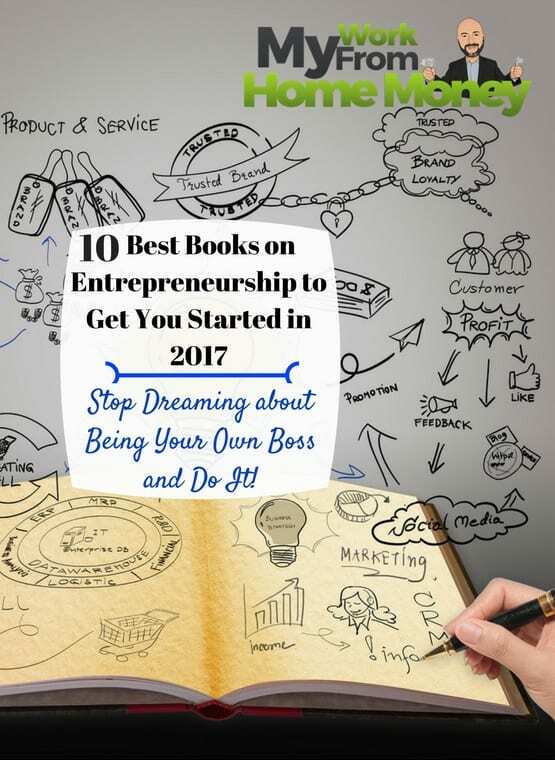 Use these best entrepreneurship books to get started and make 2019 the year you make your own success!